Sample Sake at Nagano’s Premier Brewery, Birthplace of Yeast Number Seven. Miyasaka Brewery, maker of Masumi Sake, is one of the most historical and most highly regarded by sake appraisal competitions (both domestic and international) of all the sake breweries in Nagano. 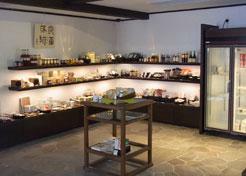 The brewery's Cella Masumi is an elegant shop where you can taste Masumi's sake. Their international staff is happy to answer e-mail inquiries in English, French, German or Chinese. See the Contact Us page of Masumi’s website. The Miyasaka Brewery is one of a handful of sake breweries around Lake Suwa that make the area such a hotbed for sake making. Their Masumi label is recognized not only in Nagano Prefecture and throughout the nation, but internationally as well. And they have the distinction of being the birthplace of "Nanago" -- the Number 7 yeast first identified in 1946 when Masumi swept Japan's Sake Appraisal Awards. Today, 60% of the breweries throughout Japan use this yeast. The brewery’s English and French websites include thorough explanations of the brewing process and the differences of the various types of sake, and the brewery's international staff can answer specific questions in fluent and knowledgeable English, French or German. Feel free to send your inquiry via the Contact Us page on the Masumi website. 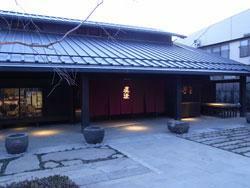 For others, the Cella Masumi shop is one of the most elegant sake shops in the world. Here you can try tasting the award winning Masumi sakes. Sake Tasting at Cella Masumi is 320. Required, Not required(Not required for shop visits. 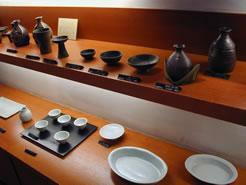 Sake tasting price includes a shot glass which allows you to taste 5-6 varieties of sake. Large tour buses cannot be accommodated. From Suwa IC, Go straight to Route 20 and turn left. 5km (10 min. ).